Who says you can’t teach an old dog new tricks? Case in point: Piper Prescott’s former mother-in-law Melly. Beneath her twin sets and pearls beats the heart of a geek—a geek whose programming changes for the point-of-sale software in Piper’s shop have the owners of the program ready to make her an offer she can’t refuse. “Trusty” Rusty Tulley and Chip Balboa swing by Brandywine Creek—just in time for the town’s annual Oktoberfest, which has cinnamon, cloves, and cardamom flying off Piper’s shelves in record numbers. News spreads faster than a text message, and Melly is the toast of the town. But it isn’t long before Melly’s status changes to public enemy number one when Chip’s body is found at the foot of her basement stairs. Questions start to pile up when handsome police chief Wyatt McBride arrives on the scene and the coroner sets the time of death for the previous evening. McBride wants to know why it took Melly so long to report the incident—especially after she admits to arguing with Chip about the contract he wanted her to sign. Piper knows Melly would never hurt a fly, so she enlists the help of her BFF Reba Mae to clear her name—but can they find the real killer before Melly gets sent away for good? A mouth-watering entry in Gail Oust’s delicious Spice Shop series, Cinnamon Toasted is sure to delight cozy fans of all stripes. Birdhouse: When did you realize you wanted to be a writer? 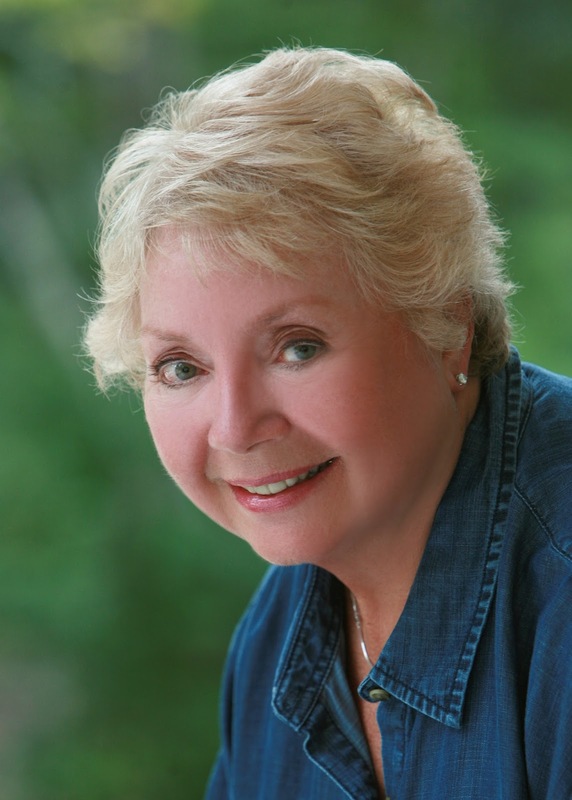 Gail: I wanted to be a storyteller long before I realized I wanted to be a writer. Even as a very young child, I’d entertain my friends with made-up stories. It wasn’t until my early thirties that I seriously tried to put the story inside my head into words on paper. It was much harder than I ever imagined. After writing one page, I gave up and put the typewriter away. It wasn’t until my youngest was in kindergarten that I a serious attempt. After a series of stops and starts, I joined a newly formed chapter of Romance Writers of America which gave me direction and renewed my motivation. My first novel, a historical romance, was published nearly thirty years ago. Yikes!!! That makes me sound ancient. Birdhouse: What was your favorite book as a child? Gail: I always loved fairy tales—and still do. A beautiful princess, a handsome prince, trials and tribulations, good overcoming evil, romance and true love. What’s not to like? Birdhouse: What is your writing day like? Do you have any interesting writing quirks? Gail: I’m not a morning person. Wishing can’t make it so. It takes me a while to get into gear every morning which usually means I don’t get started until at least ten o’clock. On a normal day, I work until five or five thirty. If I have a deadline nipping at my heels, I’ll work later. I usually work at least part of the day on Saturday and, if my deadline is close, at least a half day on Sunday. Quirks? My office is downstairs so every morning I pack my lunch and take it along. I allow myself a twenty minute lunch break while I indulge in watching my favorite soap opera, The Young and the Restless. Birdhouse: What is the most surprising thing you learned while creating this book? 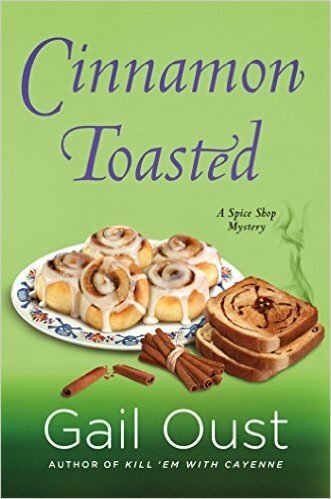 Gail: Writing Cinnamon Toasted made stop and reexamine the complex--and often complicated-- relationship between women with their mother-in-laws. Or, as in Piper’s case, a former mother-in-law. Birdhouse: Who are your favorite authors? Gail: My taste in reading is eclectic. I enjoy many wonderful books by many different authors that I tend to have favorite books rather than favorite authors. Sometimes a certain book will resonate with me more than another even if written by the same author. I don’t know if it’s because of a phase of the moon or what’s going on in my personal life, I just know that it does. Another thing about me, I tend to avoid reading in the same genre that I’m writing in order to avoid similarities to another author or series. Birdhouse: What is your next writing project? Gail: I’m about to start the fifth book in the Spice Shop Mystery series. Someday, I’d like to revisit the Bunco Babes, aka the Kate McCall Mysteries. I also have an idea for a romantic suspense novel. For the moment, however, I’m very happy to be spending my days with Piper Prescott and the gang at Spice It Up! Friends often accuse Gail Oust of flunking retirement. While working as a nurse/vascular technologist, Gail penned nine historical romances under the pseudonym Elizabeth Turner for Avon, Pocket, Berkley, and Kensington. It wasn’t until she and her husband retired to South Carolina that inspiration struck for a mystery. Hearing the words, “maybe it’s a dead body,” while golfing with friends fired her imagination for the Bunco Babe Mystery series originally published by NAL. In conjunction with Beyond the Page Publishing, the Bunco Babe series has been republished in digital format as the Kate McCall Mysteries complete with new titles and a whole new look. Gail is currently writing the Spice Shop Mysteries for Minotaur/St. Martin’s. When she isn’t reading, writing, or sleeping, she can usually be found on the golf course or hanging out with friends. Links: www.gailoust.com, Gail Oust Author on Facebook, and Goodreads. Discovered Cozy Mysteries and never looked back... this one is a must read! Sounds like a good book & I like the cover.